Pink Tatty Roses by Emma Connolly. Linen and roses are quite simply one of the best combinations in the textile world of interior design. Just had to share that with you this morning lol. 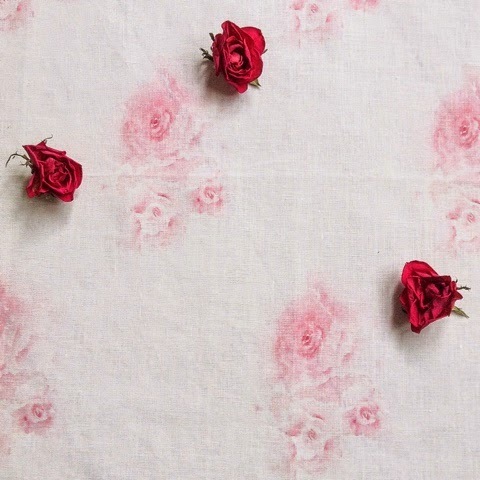 My most favourite linen ever (and not just because it's mine) is 'Pink Tatty Roses' shown above. Painted in watercolour and printed onto beautifully light linen in the UK, available by the metre from my online store. I hope you all have a lovely weekend! Mr C and I are taking the girlies up to see their potential new home, with a teen amongst us I'm really not sure how it's going to go, but will keep you posted.